Kitora Tumulus (in 2002) Kitora Tumulus is a circular tomb located about 1.2km south of Takamatsuzuka Tumulus. 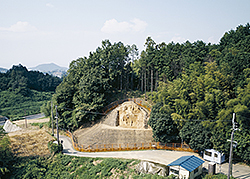 The tomb mound, which has two tiers, is carefully built in the rammed earth method on a hill slope leveled by cutting out the soil. The diameter of the lower tier is estimated to be 13.8m, the higher tier 9.4m. In 1983, a research of the inside of the stone chamber was conducted using a fiberscope inserted through a hole in the stone chamber made from past looting. 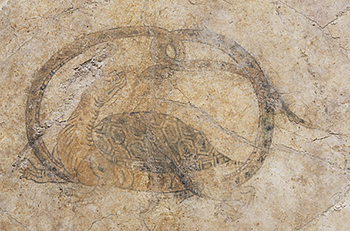 The black snake-tortoise painted on the north wall was discovered at this time. This was the second tomb with polychrome mural paintings in a style from continental Asia to be found, following akamatsuzuka Tumulus, whose mural paintings were discovered in 1972. There was a chamber constructed with hewn tuff stone, about a meter wide, 2.4m long and 1.2m high, inside the mound. As the survey continued, the blue dragon, red phoenix, and white tiger, of the four divine animals, as well as the celestial map on the ceiling, were found. 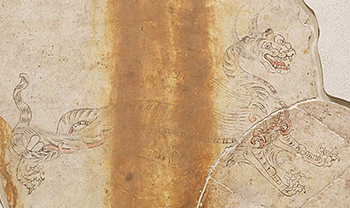 On the lower part of the walls, figures of rat, ox, tiger, horse, dog, and wild boar of the Chinese zodiac, with animal heads and human bodies, have been discovered. The tumulus is thought to have been constructed in the end of the 7th century to the early 8th century, a little earlier than Takamatsuzuka Tumulus. 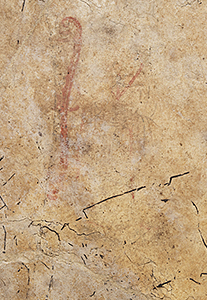 The mural paintings of Kitora Tumulus are thought to have been produced to create a universe surrounding the coffin of the deceased, within the stone chamber. It was based on ancient Chinese thoughts: yin and yang and the Five Elements. The celestial map on the ceiling of the chamber is assumed to represent the sky. On the walls, the four divine animals, and the zodiac animals with human bodies, all of which face to the right, symbolize time and space. Showing a more fundamental depiction of Chinese philosophy than mural paintings extant in China, the paintings are unique works of which the likes have previously not been found in China. face southward to the entrance of the tomb, and groups of male and female attendants are portrayed instead of the zodiac animals. Furthermore, the celestial map is more simplified and stylized, showing advancement in style. Similar compositions of paintings are often seen in tomb mural paintings of Tang China, indicating that the two mural paintings in Japan were directly influenced by mural paintings in China. 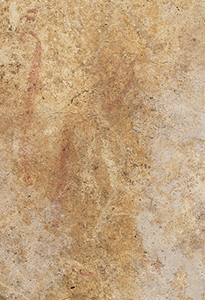 It was decided in 2009 by the Review Committee for Preservation and Utilization of Mural Paintings of Tumuli, of the Agency for Cultural Affairs, that the mural paintings removed from Kitora Tumulus should be preserved and open to the public for some time at an appropriate facility outside the stone chamber, after the completion of restoration work. Based on this decision, preparations are presently being carried out for the preservation and display of the paintings at the Kitora Experiential Learning Museum (working name), which is scheduled to open in 2016 in the area adjunct to Kitora Tumulus in Asuka Historical National Government Park. At the preservation facility on the ground floor of the Kitora Experiential Learning Museum, after the completion of restoration work, the detached mural paintings will be attached to the respective walls of east, west, south, and north, as well as the ceiling of the stone chamber. They will be shown to the visitors in their entirety, while the preservation of the paintings is given priority. 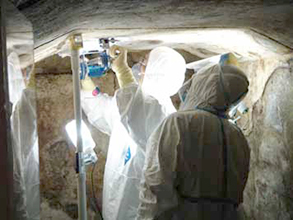 At the same time, while taking into consideration the facts obtained from the excavation of the tomb, the conservation work at Kitora Tumulus will be conducted under the policy of resuming it to the original condition when it was found, rather than restoring it to the original state when the tomb was built. Specifically, the tomb mound will be maintained to show its features having two tiers, along with its construction method of cutting out the soil of the north side of the hill. The site will be opened to the public, simultaneously with the public display of mural paintings. 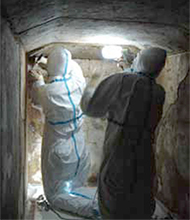 As first-aid measures for the conservation of the Kitora Tumulus mural paintings, the paintings were detached from the chamber between 2004 and 2010. Special exhibition "Mural Paintings of the Kitora Tumulus", Japanese Gallery (Honkan) and Hyokeikan will be opened until 20:00 on May 15, May 17, and May 18. * Advance tickets will be sale at the Museum ticket office (during museum hours, 30 minutes before closing hour), e-Ticket Pia (P-code:766-052), Lawson Ticket (L-code:34444), E-Plus and other major ticketing agencies from Monday , February 10, to Monday, April 21, 2014. * Special exhibition "Roots of Zen: Yosai and the Treasures of Kenninji" (Tuesday, March 25 - Sunday, May 18, 2014, Heiseikan) requires a separate admission fee. With the Sponsorship of Okamura Printing Industries Co., Ltd.
With the special assistance of National Institute of Information and Communications Technology, Otsuka Ohmi Ceramics Co., Ltd., Nippon Express Co., Ltd.